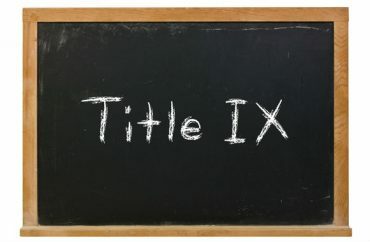 Universities across the country have elected to stick with the Obama administration’s Title IX guidance documents on sexual misconduct procedures, rather than avail themselves of the flexibility in interim guidance issued by the Trump administration. Late last month, the Department of Education discarded the directive that colleges follow a “preponderance of evidence” standard when adjudicating sexual misconduct claims. Among many other changes, the new parameters allow colleges to use a higher “clear and convincing evidence” threshold in determining whether an accused student is responsible, in addition to the preponderance standard. The new recommendations will function as an interim policy while the department receives public input before crafting permanent, binding regulations. In spite of the new instructions, universities across the country have announced their continued commitment to Obama-era guidance, which is not legally binding. Valerie Simons, the University of Colorado’s Title IX coordinator and executive director of the Office of Institutional Equity and Compliance on the Boulder campus, said she believes CU already provides fairness to all involved in campus sexual assault investigations. Simons did not respond to repeated inquiries from The College Fix. Two years ago, CU-Boulder paid a $290,000 settlement to a professor whom it tried to fire after he started researching how it “intentionally and systematically manipulated the evidence” in a sexual-misconduct investigation of a male student. At George Washington University, President Thomas LeBlanc made clear he would continue to follow the Obama administration’s six-year-old Title IX procedures. St. Edward’s University, a Catholic university in Austin, Texas, will also forego the new rules issued by the Trump administration. The Fix reached out repeatedly to the offices of both LeBlanc and Kirkpatrick. Neither responded. As stated above, The Fix reached out to Kirkpatrick’s office at St. Edward multiple times for comment, but received no response before publication.